Better Bath Almond Permalux Garden Tub Outside Step 40" x 54"
Recently Better Bath introduced its Permalux® line to their Garden tubs. 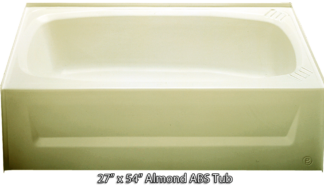 This Heavy Duty ABS Tub with Acrylic coating and additional resin under-body, adds additional strength and durability to these tubs. 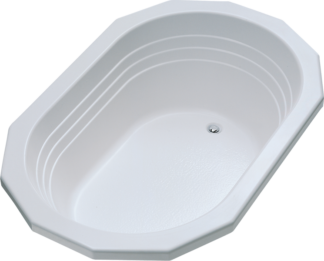 The small additional cost makes these tubs and excellent purchase and have quickly become our best sellers. 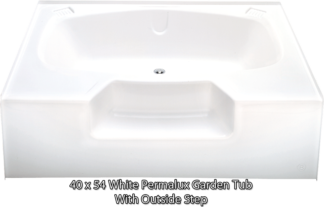 All of these Permalux® tubs come standard in white. 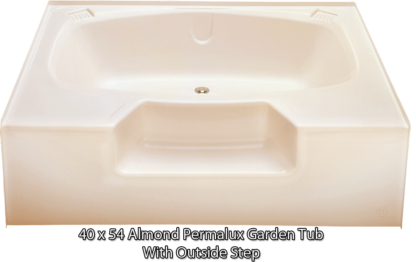 Almond is available in many garden tubs. 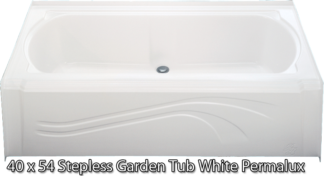 Check with your General Supply sales rep for more details. 40 in. x 54 in.